A review of the Security Health Insurance Company of America finds instead the Security Life Insurance Company of America, a 55 year-old insurance company based in Minneapolis, Minnesota. Security Life Insurance Company provides secondary insurance products, such as dental and vision coverage, along with life insurance and disability plans. Searching for online health insurance quotes is so easy to do! All you need to get started is to type your zip code in the box above! If you are interested in Security Life insurance, speak to your employer or independent insurance agent. Alternatively, you may email the company at [email protected]. Be sure to include your policy number and phone number so that the appropriate representative can get back to you. You can also call and speak to a representative by dialing toll-free, 1-800-328-4667. FiveStar serves as an easy, off-the-shelf solution for companies and employers looking for an optional benefits insurance package to offer their employees. It is currently available to brokers in 26 states. If you are looking for a job with Security Life Insurance, you can find information by clicking the “Careers” tab of the company’s website. At the time of this writing, there are two job opportunities with the company: product actuary and vice president of information technology. Both are in Security Life Insurance’s Minnesota headquarters. 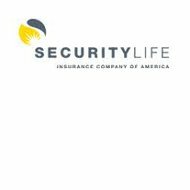 Security Life Insurance Company of America welcomes individuals looking to become agents for the company. If you’re interested, you first have to fill out and return the company’s Agent Appointment Packet, which can be found under the “Agents” tab on the company website. The forms are extensive, but clearly stated, and include information about Security Life’s commission payout. In addition to the standard commissions paid on products sold, Security Life Insurance is currently running an agent incentive program called “SparkSuccess!” SparkSuccess is a cash bonus program for agents that further reward them when they sell new group product lines and/or personal dental plans. The SparkSuccess incentive plan is in addition to an agent’s usual commission payout. In addition, Standard & Poor’s traditionally rates the company’s life insurance portfolio “A-.” This means that Standard & Poor’s believes that Security Life Insurance Company of America has a “strong capacity” to meet its financial commitments. These ratings from A.M. Best and Standard & Poor’s point to Security Life Insurance being able to pay any claims submitted by customers well into the future. When you’re choosing a health insurance, or any type of insurance provider, you want to make sure that the company will still be in business in the years to come. That way you don’t spend years paying your premiums, only to have the company out of business when it comes time for you to file a claim. Make sure you’re covered by a health insurance plan! Type your zip code in the box below and choose from several health insurance rates from providers in your area.